The Turing Award given by the Association for Computing Machinery has been called “The Nobel Prize of Computing”. 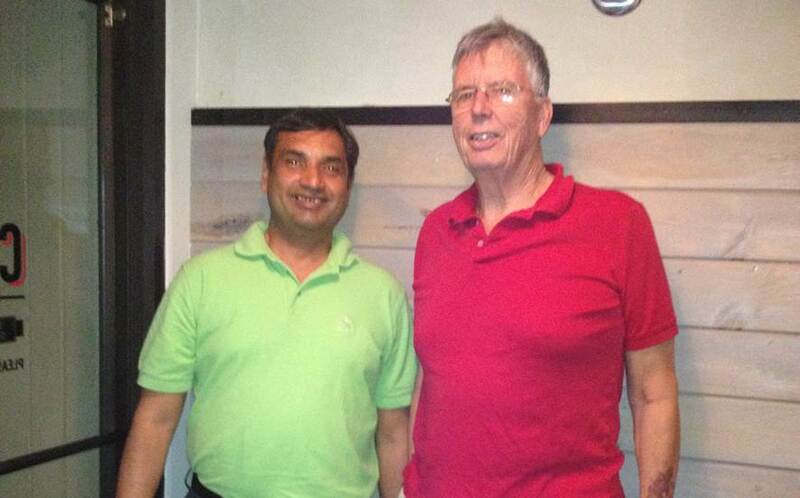 The stipulation says the award should be given to an individual who has made technical “contributions of a lasting nature of major technical importance to the computer field.” The latest in a long line of worthy recipients is Michael Stonebraker, a man I am proud to call a mentor and a trusted advisor. Michael’s career pretty much exemplifies what the Turing Award stands for. An alumnus of Princeton and the University of Michigan he has had an illustrious teaching career at University of California, Berkeley and now at MIT. Before the Turin, he had already won some of the most prestigious computing related awards out there – the IEEE John Von Neumann Medal and the first SIGMOD Edgar F Codd Innovations Award for example. These awards all recognise the pioneering role he has played in the world’s understanding of databases, especially relational databases. Michael has rightly been credited with developing database system like Ingres and Postgres and his current work is focused on database management systems. It’s probably fair to say that virtually all database systems today bear his stamp in one way or the other – in the way they are architected or the way they are managed. His work has seen several solid business applications – witness the several companies he has founded including Ingres, Cohera, Vertica and VoltDB among others. Today’s Big Data age also owes a lot to his innovations in the “shared nothing” model to handle scalable databases. Announcing his selection for the Turin Award, Alexander Wolf of the ACM said, “Michael Stonebraker’s work is an integral part of how business gets done today. Moreover, through practical application of his innovative database management technologies and numerous business start-ups, he has continually demonstrated the role of the research university in driving economic development.” I couldn’t agree more. One measure of his influence is how many of his students are leading professors of computer science themselves – Joseph Hellerstein of UC Berkeley, Clifford Lynch of CNI & Berkeley’s School of Information, Margo Seltzer at Harvard and Sunita Sarawagi at IIT Mumbai. Then there’s Diane Green, founder of VMware and Dale Skeen, founder of Tibco & Vitria in the world of business. I’m not sure if I qualify in that elite company but for what it’s worth, Michael Stonebraker was an absolutely key influence in my life too. I was fortunate to be guided by him while pursuing my PhD when I came to UC Berkeley after completing my MS at the University of Wisconsin-Madison all that time ago. Under his watchful eye I proposed a third transaction processing model, the “shared-everything” model, and eventually achieved the right to add Dr. in front of my name after my thesis was accepted! I have also been lucky enough to have co-authored a couple of papers with him – “Performance Issues in High Performance Transaction Processing Architectures” in 1987 and “A Performance Comparison of Two Architectures for Fast Transaction Processing” in 1988. Post my PhD I spent a few years in Oracle back in the Bay Area after a stint at IBM on the East Coast and had plenty of occasions to draw inspiration from Michael’s continuing thought leadership on databases. It’s always been interesting to keep an eye on this “current” project. Over the years, he has kept pushing the boundaries of what we thought was possible in the database world and looking for real-world applications of these concepts. I’m happy to say that a lot of what I, and Calsoft, do today is driven by what I learnt at that time under Michael’s guidance. I would recommend his “Readings in Database Systems” to anyone working in any way with databases if they want to be similarly inspired. So let me end by saying many congratulations Michael – you’ve been an inspiration to the database and computing worlds and I, like so many others, am proud of my association with you!